This is a sticker on the front of the water dispenser Dad just got. Made in China. We still don’t know what it means, and the hot water spout still doesn’t work. 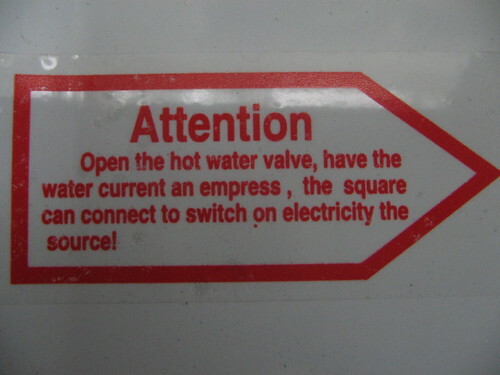 Anyone got an empress handy? We’re fresh out.